The photo above can be found in the magazine Hearth and Home of March 14, 1895. 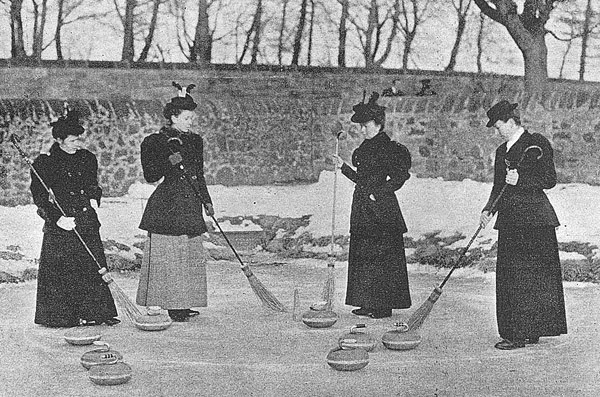 It depicts four women on the ice, and is probably the earliest published photograph of women curling in Scotland. The skip is Henrietta Gilmour - that's her, second from the right. Note the long handled brooms the women are using, with their crook tops. It cannot have been easy to curl wearing the dress of the time! It would appear that fashionable headgear was de rigueur. What shoes were they wearing? The stones are just a little lighter than used by the men, at 31 to 34 lbs, according to the Hearth and Home article. Note the wooden tee-marker at the centre of the rings scratched on the ice. Hearth and Home was a weekly broadsheet magazine, for women, published in London from 1891-1914. A short article in the March 14, 1895, issue, on a page entitled 'The World of Sportswomen', explains that during the 1894-95 season, the Gilmour team had played ten matches, and won seven. Just who these matches were against is not stated in the article, but, thanks to the British Newspaper Archive, it has been possible to find details of two of these. The Dundee Courier of February 16, 1895, reports that the Gilmour rink took on a team of ladies from the Hercules club in a friendly on Kilconquhar Loch, and won 23-7. The skip of the Hercules team was Mrs Scott Davidson. Another game against Hercules was played out on Montrave Pond and is reported in the Dundee Courier of February 21, 1895. The Hercules team was skipped on this occasion by Mrs Palm, with Mrs Scott Davidson at third, but were again defeated. The Gilmour team won 42-5. Incidentally, the Hercules women were to form their own club later that season, see David B Smith's article here. During the nineteenth century women of the middle and upper classes were expected to be content with a life lived mainly in the home. Not all of these women were happy to do so, and, by the end of the century, many defied convention and began to participate in sports such as climbing, cycling, and curling, not always with the approval of their male counterparts. 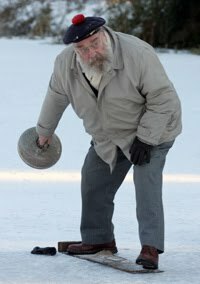 Although there are accounts of women curling earlier in the nineteenth century (see for example here), and even in the eighteenth century (see here), these occurrences were not common. Henrietta Gilmour was a pioneer of curling in Scotland, at a time when the sport was just becoming accepted as an activity in which women could compete, and she deserves to be better known. Who was she? She was Canadian, born in 1852 in Quebec City. She married her first cousin, John Gilmour, in September, 1873. John was son of Allan Gilmour, one of Scotland’s principal shipowners and involved in the Canadian timber trade. The family business (Allan Gilmour and Company) took John, a young man in his twenties, to Canada, where he was to meet his future wife, a daughter of David Gilmour, his father's younger brother who had died in 1857. The couple returned to Scotland and set up home in Montrave House, on an estate owned by John's father and which he duly inherited. They had seven children. Allan was born in 1874, but died when just four years old. John (also called Jack) was born in 1876, and Harry in 1878. Maud, the first of two daughters, was born in 1882. Henrietta (Netta) was born in 1884. Ronald was born in 1888, but survived only for three weeks. Douglas, the youngest child, was born in 1889. It is not thought that Henrietta had curled as a youngster in Canada. She was at home on ice though, and was an accomplished skater. Her husband John was certainly a keen curler, as his father had been. John founded a curling club based in and around his Fife estate. At the Annual Meeting of the Royal Caledonian Curling Club held in the Bold Arms Hotel, Southport, England, on Friday, July 31, 1885, the Lundin and Montrave Curling Club applied for membership of the governing body, and, having been duly proposed and seconded, the club was admitted at that meeting. In the 1885-86 Annual, John Gilmour and 'Mrs Gilmour' are listed as patron and patroness. John Gilmour was also the club's president and was one of the sixteen regular members listed. To have been admitted to the Royal Club, the Lundin and Montrave CC would have needed a sheet of ice on which to play. 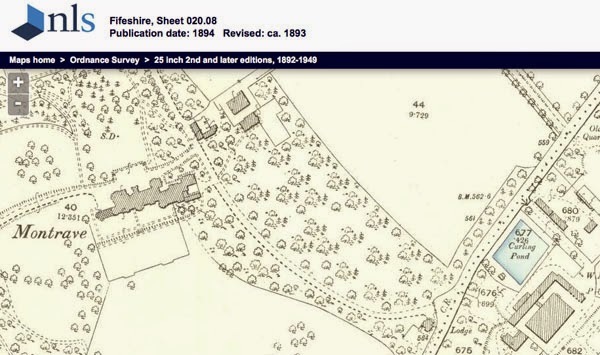 The curling pond, near to Montrave House, can be found easily on old maps, clearly marked on this 25 inch to the mile, from 1894. The Hearth and Home photograph was taken on this pond. Henrietta's curling career likely began in earnest after the birth of her son Douglas in 1889. In 1895, when the photo was taken, she would have been around 43 years old. Her team was Isabella Gentle of Kilwhiss, at third, and Mary Martin of Priestfield at lead. The second player was a 'Miss Fortune'. Both Martin and Gentle are listed in the membership roster of the Lundin and Montrave club. Miss Fortune is not, and unlike her teammates I can find no mention of her in reports of curling games in the years following that first successful season. She was perhaps Mary Fortune of Pilmuir Farm. Her younger brother was head of the family there, according to the 1891 census, and lived with his widowed mother, and his two sisters Mary (28) and Jessie (22). George was a member of the Lundin and Montrave club until the 1895-96 season, and that might have been the connection which brought his sister to the ice. The Lundin and Montrave club flourished, as did the estate, and so did the Gilmour family. John seems not to have been much involved in the family business. He joined the Fife Light Horse in 1874 as Second Lieutenant. He gained promotion to Captain in 1881, and was Lieutenant-Colonel in 1895. He was active in politics, contesting the East Fife constituency on three occasions. In 1897, John Gilmour was created a Baronet, and the Glasgow Herald of June 28, 1897, records scenes of great excitement when Sir John and Lady Gilmour arrived back at Leven station from London. They were undoubtedly popular landowners and held in high esteem. The Gilmours were a curling family. The parents seem to have encouraged their children to play. By 1897-98, John and Harry were both regular members of the Lundin and Montrave club, and sixteen year old Maud was an occasional member. Two years later she was a regular member. In the 1900-01 Annual, four children, John, Harry, Maud, and Netta, are all listed as regular members of the curling club. Netta indeed may well have been the youngest women to become a 'made' curler. The Dundee Courier of February 18, 1899, reports the annual dinner of the Lundin and Montrave Club. During the evening a curlers' court was formed and a number of curlers, including Miss Netta Gilmour, were 'duly initiated into the mysteries of the brotherhood of the broom'. She would have been fifteen years old! Lady Henrietta Gilmour continued to compete. For example, on February 15, 1901, the Dundee Courier records that she skipped an all ladies' rink against one from the Balyarrow CC, skipped by Mrs Johnstone, on 'spendid ice' at Montrave, winning 21-14. The Lundin and Montrave women also played alongside the men. The Dundee Courier reports on February 3, 1902, that a friendly match took place between the Cupar curling club and the Lundin and Montrave club, on the former's pond on Thomaston Farm, four rinks aside. The report highlights the fact that three ladies took part and 'despite the unfavourable conditions, played a sterling game'. Lady Gilmour played lead for her husband. Miss Gentle played second stones for James Balfour, and Miss Martin played lead for T E Mudie. The Cupar teams were the stronger on the day. Sir John Gilmour became a Vice-president of the Royal Caledonian Curling Club in 1902, and in 1912 he became President. He and his wife left a curling legacy, donating trophies to promote women's curling, more about which in a future article. But there are two additional important things to say about Henrietta Gilmour. She was one of only two women included in Charles Martin Hardie's famous painting of the Grand Match at Carsebreck, from 1898. The Royal Caledonian Curling Club owns the original of this which hangs in a room in Scone Palace. The National Galleries of Scotland have a smaller version, thought to be a preliminary 'sketch', and this can be seen online, here. 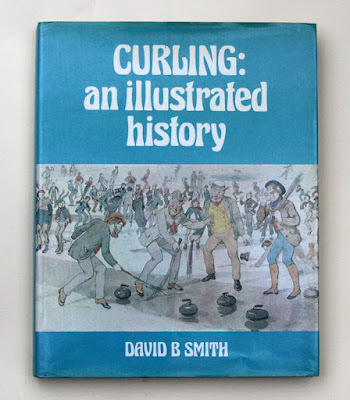 Hardie included likenesses of many curlers of the time, and this is discussed by David B Smith in an article about the painting here. But the discovery which excited me most in my research was that Henrietta Gilmour took up photography as an interest and hobby, probably after Douglas was born in 1889. She is important as the first identified woman photographer in Scotland! Much of her work has survived. Fifteen hundred of her negatives were deposited in St Andrews University Library by her grandson, Sir John Gilmour, 3rd Baronet of Lundin and Montrave, in 1978. These now comprise the Lady Henrietta Gilmour Photographic Collection, looked after and cared for by specialist staff at the University Library. Some of her photos have been exhibited in the past and more recently some of the collection has been digitised and can be seen online, here. A further six hundred negatives were given to the National Museums of Scotland, and these are in the Scottish Life Archive. Many of Henrietta's photographs depict her husband, her children, and friends. Sir John leased sporting estates in the West of Scotland, and stalking, shooting, fishing, picnicking, bathing, and boating became subjects for Henrietta's camera. At home at Montrave Sir John bred prize livestock. His stud of Clydesdale horses gained national recognition, and horses, as well as prize-winning cattle and sheep, were the subjects of photographs by Lady Gilmour. There are many highland scenes, and photos of buildings. There are also a number of self portraits. Rarely do we have the privilege of such an insight into what life was like for a landed family in the late Victorian era, Henrietta's photographs providing a fascinating record. But, given her own interest in the sport, did she photograph curlers and curling? Indeed she did! I have discovered that several such photographs exist. There are two in the Lady Henrietta Gilmour Photographic Collection at St Andrews. And five are in the Scottish Life Archive at the National Museum of Scotland. Some of the latter are available to view as thumbnails on the SCRAN website, and at larger size if you have a subscription. One is (incorrectly) entitled 'Women curling on the Ladies' Curling Pond, Fife, 1896', see here. This is similar, but not identical, to one of those held at St Andrews. The photo is certainly of the Montrave pond, not a 'Ladies' Curling Pond'. The women in these photographs are not all the same as those in the photo that appeared in Hearth and Home, at the top of this article. These seem to be from a different season and are of a different team! But Henrietta Gilmour is herself in the photos. Presumably she had an assistant to operate the shutter of her camera, after setting up the composition of the photo herself. Could it be that the Hearth and Home photo was also one of Henrietta's own photographs, and supplied to the magazine for its use? Could it be the first ever curling 'selfie'? More to come about Sir John and Lady Gilmour in a future article. My thanks go to the helpful staff at the National Library of Scotland, Edinburgh, which holds a run of the Hearth and Home magazine. And to Rachel Nordstrom, Photographic Research and Preservation Officer, Special Collections Division, University of St Andrews, who went the extra mile to help me. The map clipping is from the 25inch to the mile, second edition OS map, from the NLS maps website here. As ever, this is both historically accurate but in no way less fascinating!